Rocking composition. The repeating diagonals make this a really strong image. 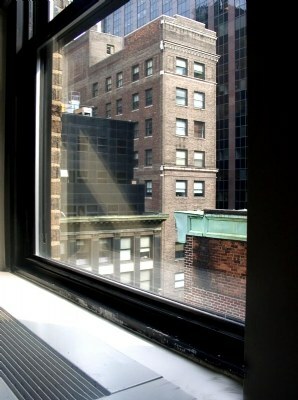 Additionally, the image accurately portrays a feeling of texture and depth...a feeling I get when looking out a city window. Peta said it right when she noted the contrast between chaos and safety.